All open data published by the Humanitarian Information Unit is available on State GeoNode. 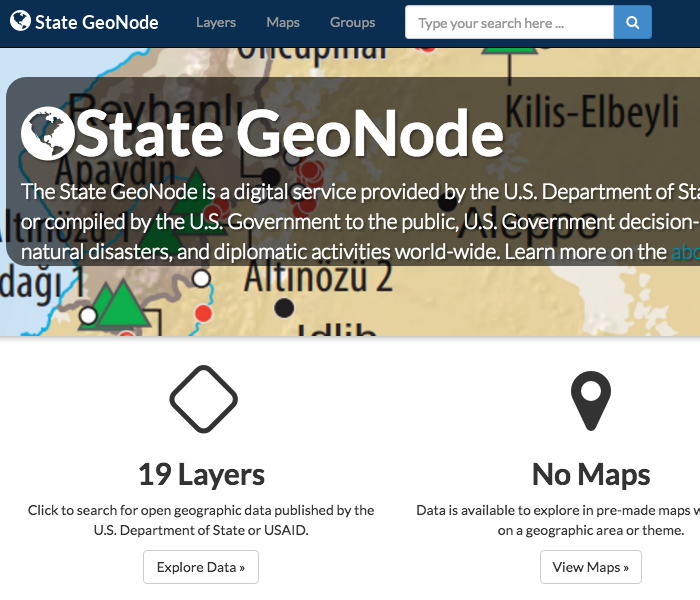 The State GeoNode is a digital service provided by the U.S. Department of State for publishing open geographic data produced by or compiled by the U.S. Government to the public, U.S. Government decision-makers, and partners on complex emergencies, natural disasters, and diplomatic activities world-wide. 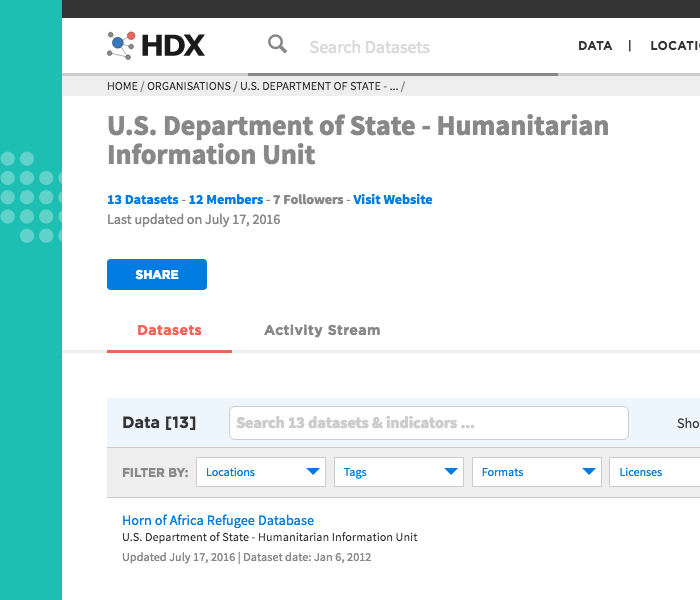 Open data published by the Humanitarian Information Unit is available on the United Nation’s Humanitarian Data Exchange (or HDX). HIU publishes its current data to HDX. For an archive of all open data, see data.gov or State GeoNode. 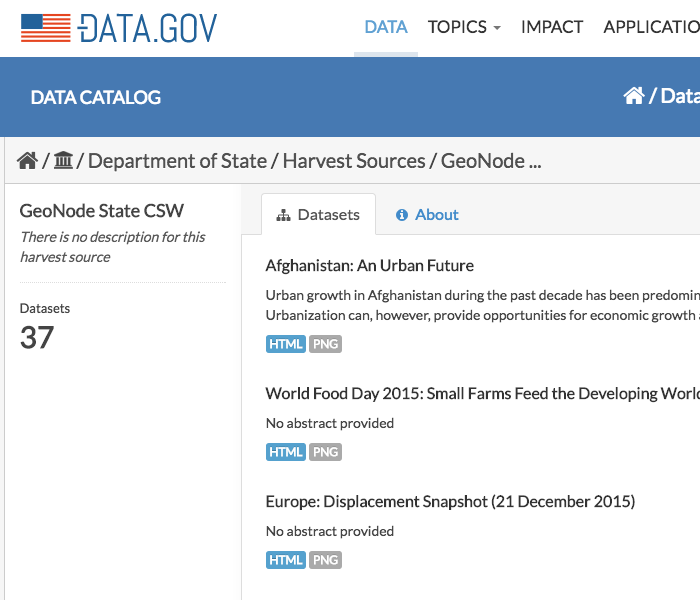 All open data published by the Humanitarian Information Unit is available on data.gov at http://catalog.data.gov/harvest/geonode-state-csw. Data.Gov harvests from State GeoNode every 24 hours.